The fault lies not in the players but the umpire? What Karnataka’s selfless politicians want is easy to guess from their sponsored trips to luxury spas in various seaside locations. But what do Karnataka’s people want from their politicians? “What Karnataka yearns for is a transparent, incorruptible chief minister like Bihar’s Nitish Kumar, says Shashank N.D., the founder of Practo, which builds online software for doctors. Bangalore envying Bihar? Who would have even imagined that a few years ago, he asks. “Event manager Ajith Rao says he envies Gujarat for Narendra Modi, its chief minister. Modi tops the list of India’s most dynamic chief ministers, assertive and capable, says Rao. In contrast, many find Yediyurappa a weak ruler, constantly bogged down by his inability to manage his legislators, his ministers and his partymen. This entry was posted in Issues and Ideas, Kannada & Karnataka, Mysore-Bangalore and tagged B.S.Yeddyurappa, B.S.Yediyurappa, BJP, Churumuri, Karnataka Photo News, KPN, RSS, sangh parivar, Sans Serif. Bookmark the permalink. I would like to humbly tell Ms. Saritha Rai of Indian Express that “a transparent, incorruptible chief minister” is NOT possible under our socialist system. So lets stop whining about individuals, lets focus on the bigger issue, the route cause of our corruption. Let us talk about reforming this socialism. Lets talk about taking away all economic and discretionary powers from our elected representatives. Corrupt politicians are like weeds in a wheat field. if a farmer resorts to plucking out each and every weed from his field, then he will take forever to clean up his land. So the smart way is to spread a kind of fertilizer that makes it impossible for weeds to grow. The fertilizer is economic reform. Objectivist Mantra – Route Cause??? @ Gaampa, Oh, I am sorry, it should be “root cause.” That was a typo. Route cause too would make sense if we considered the path – socialism , licence raj, babudom, which has brought us to the current juncture. @Objectivist mantra – Well said. We need to first recognize that corruption has become a systemic issue and not just an ethical issue. To fix that we need to fix the loopholes in the system. The presence of corruption is closely linked to the living conditions as well as accessibility to resources. We cannot simply expect first world ethics with third world conditions. There was another post lamenting the demise of the left parties. We have umpteen number of parties that have taken up the cause of leftists even if they pay lip sympathy to those. I would rather be worried about the absence of a genuine right of center party that can influence public thinking and bring genuine reform. Gaby – I agree we need a root cause identification as well as a route change. It gives me immense pleasure to see more and more people on churumuri realizing the evil that is socialism and regressive leftist thinking, and recognizing that it lies at the root of all problems in India! May the realization spread far and wide! Yearning is one thing voting is another. Only 44 percent of Bangalore voted in the 2008 assembly polls. 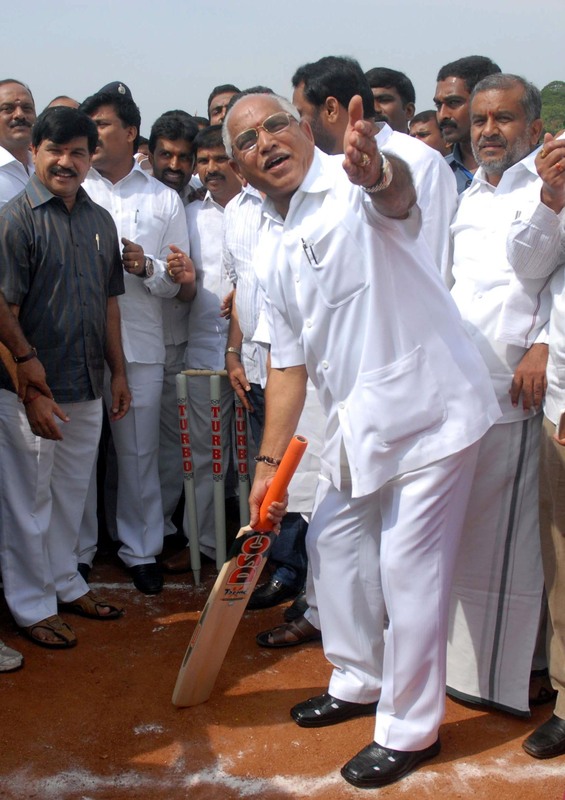 It is the voters who decided the fate of Yeddyurappa and Karnataka – warts and all. We the people are yet to fathom what it means to be a sovereign socialist secular democratic republic. Thankfully the darling of the urban masses S M Krishna is not being touted as a great leader. The problem is people here see things in black and white. All of leftist thinking is not regressive. All of capitalist thinking is not progressive. Left has to shed its dogmatic approach so should the capitalists. Thanks to capitalism, we had to witness recession in USA. It was the government which bailed out the economy. The kind of “socialism” that has been practiced in India during the 1950s-1990s deserves to be ground underfoot – try as I might, I cannot see any good having come out of it.